This is a good article from Linux.com outlining the possibilities for technology professionals to gain experience when finding it difficult to meander through the traditional means in order to get that relevant experience. If you want to move your career forward without stepping on every rung of the ladder, then open source is the avenue you want to take. I tell people time and time again, open source based technologies allow you to showcase your talents without having to be the one that does best on an interview for a certain job. You do not have to be from an Ivy League school, or prove why you are still a good fit for the role even though you do not have the 7+ years of experience the company is looking for. Start contributing to open source and build your brand from there. If successful, the marketing of your skills will be as simple as doing a Google search. There is no substitution for a traceable record of your achievements toward an open source project. For those interested in Linux kernel work, I highly encourage people to get involved with testing initially. It is a great way to get a feel for the development process and bring awareness to any noticeable bugs. Andrew Morton continuously says that there are never enough kernel testers out there. So, this is a great way to get your feet wet initially, and will hopefully lead you to kernel development. 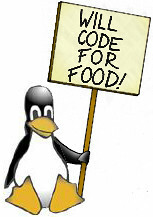 Best of luck to all the upstart open source developers out there! If you ever have any questions, please feel free to email me, or you can visit me on our IRC channel. I will look forward to hearing from you!